It’s been a tough week for Lance Bass. 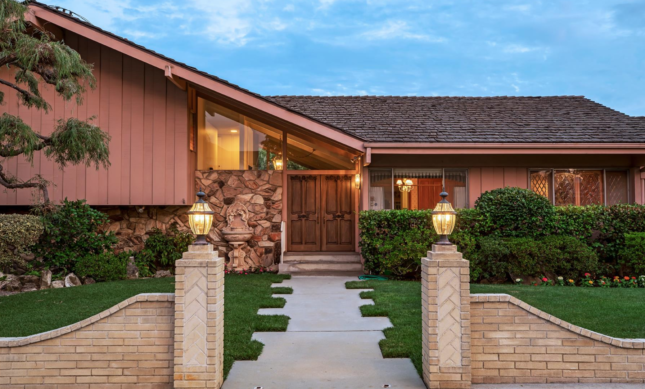 On Friday, the former NSYNC bassist tweeted that he was overjoyed when he thought that his offer had been accepted on the original Brady Bunch house, made famous by the hit ‘70s show. Almost immediately, he was as low as he had been high—he was informed that a “Hollywood studio” was willing to pay anything to claim the house and that they would be the new owners. This morning the LA Times reported that Discovery Inc. Chief Executive David Zaslav broke the news on an earnings report conference call that the company had bought the house and was planning a project involving it with HGTV, one of their subsidiaries. Details about the project have yet to emerge. According to the Times, the show was shot on a studio lot, not in the Studio City, California, house. Only the exterior was actually used. In what may come as a disappointment, the interiors never resembled those depicted on the show, but, according to photos on the realtor Douglas Elliman’s site, they have been maintained in period style. The sellers apparently wanted to find a buyer who would maintain and preserve the iconic house in lieu of developing the 12,500-square-foot lot. According to CNN, the sale price has not been announced, but the starting price is listed by Douglas Elliman as $1.885 million.